Repeal of the Permanent Federal Estate Tax? What Was Approved in the Fiscal Cliff? It’s Not Too Late to Use Your $5 Million Exemption! House to Obama on Tax Agreement – No Go! 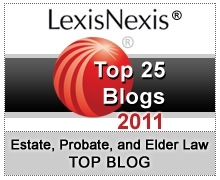 2010 Executors – Are You Ready to Allocate that Basis? How about an estate tax-free IRA? Progress on the Estate Tax? Movement on the Estate Tax? The Time for FLPs or FLLCs is Now!